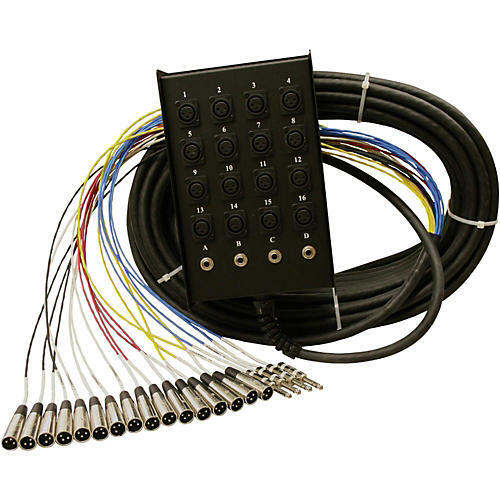 This high-quality Pro Co audio cable snake is configured with16 XLR mic inputs and four ¼" TRS returns. It features metal hand-soldered fan connectors and has a cable grip on the box. Color-coded fan shrink makes set-up a breeze. Available in 50' or 100' lengths. Pro Co makes great sounding, flexible, sturdy, easy- to- coil and carry snake cables for touring /concert applications.